It’s still very chilly out there!!! Emergency special order for an elderly lady who had just had her coat clipped and was shivering. 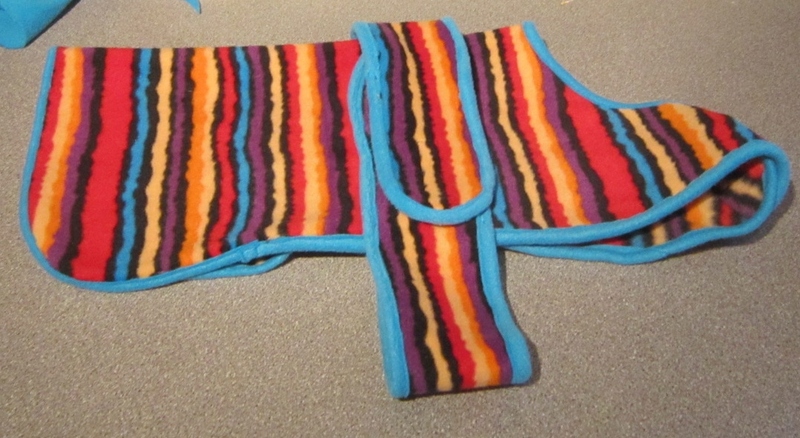 I had to make the coat with an extra long chest band as she is a spaniel x lab – short in the body but deep in the chest. That’s the joy of being able to create everything myself – odd sizes are no problem! I hope she is feeling more snug today.